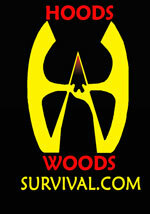 Hoods Woods won a 2nd place Telly award for this video in the Best Instructional video category! 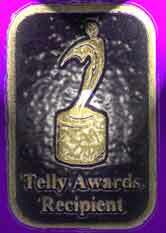 This outstanding video won us one of the two awards we won in the latest Telly Awards competition for 2002. Prepare to play with your fat! In this volume of Cave Cooking, Karen Hood flies you into Idaho’s outback to show you some of the coolest chow, cooking tricks and gear you’ve seen yet. Karen gets up every morning with a song and dance... before coffee! 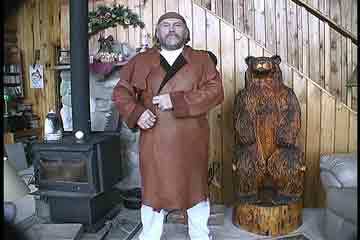 Learn how to assemble this rifleman's jacket. 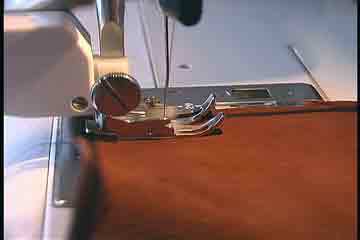 Learn some tips for sewing leather. here you see the "walking foot" on a sewing machine. It's an invaluable aid when sewing leather. See how Karen makes certain that she won't waste valuable buckskin and how she selects the hides for quality and usability. 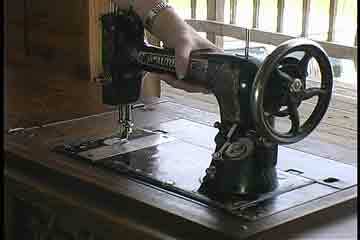 We use an old foot powered treadle sewing machine. Learn how to check one out and how to replace the belt if you have one. 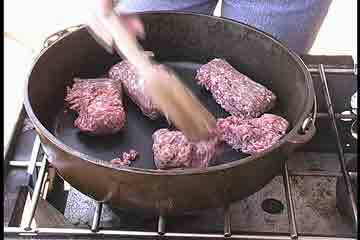 Learn how to take regular hamburger and dry it for use in real old-style Pemmican. 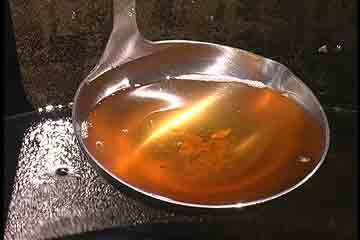 See how Karen Renders beef fat to make "Tallow". Many butchers will give you all the fat you want... free. 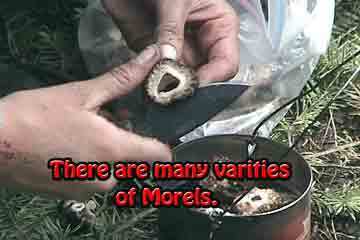 After you have tallow you can make your pemmican, candles and lots more. 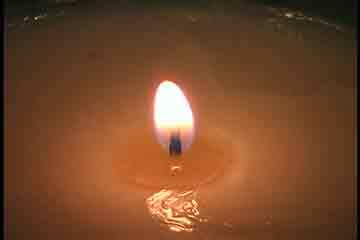 A Tallow candle is economical and easy to make. It is also satisfying. 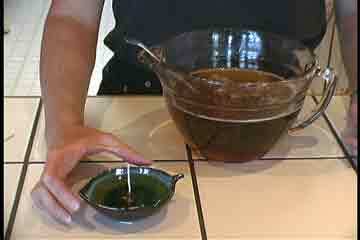 Karen shows you all the tricks to making high quality tallow quickly and efficiently. 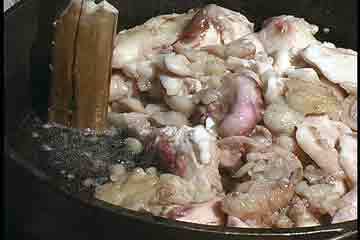 3 1/2 lbs of nasty old beef fat becomes 2 1/2 lbs of purified, nearly immortal, tallow. Karen takes you through step by step. With nothing more than pemmican, tallow, water, spices and wild veggies, Karen made this delicious stew! 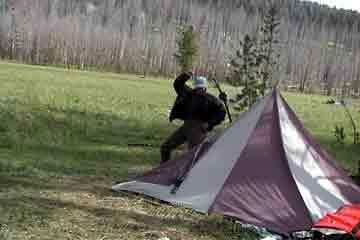 It weighs very little but gives you all the energy you need for life in the wilds. 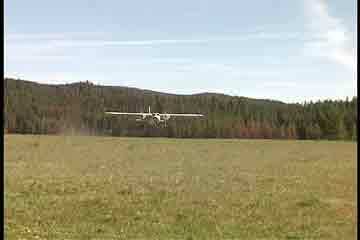 To film the wilderness portions of this vide we flew deep into Idaho's outback Chamberlain Basin. 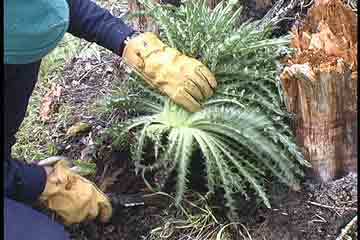 If you've got these nasty weeds (Thistle) growing in your yard...Karen will show you how to munch them or cook them in a stew. 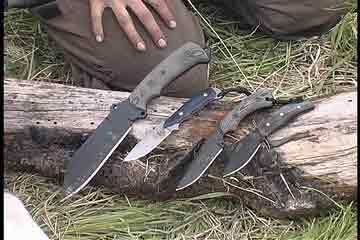 Karen will show you her choices of blades for ladies. You ladies will appreciate her suggestions. Here's another use for that Tallow. 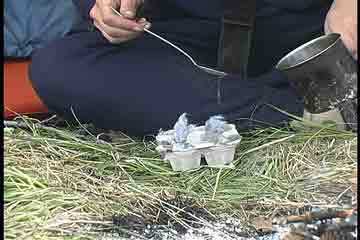 Dryer lint/egg carton and tallow fire starters. These are a GREAT thing to have along! Hey! 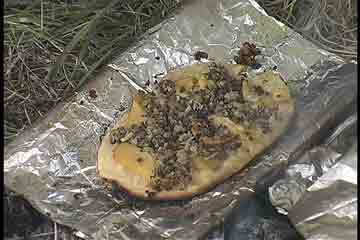 Here's another use for Bannock (Instructions for making Bannock are included) and Pemmican. Wilderness Pizza! Karen also shows you how to make stick bread! 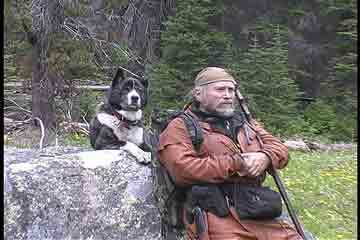 This video was filmed in the mountains of Idaho.